Hammer head measures 10" x 6" x 6"
Is your name Thor Odinson? Is your name Beta Ray Bill? Is your name The Vision? No? Well, then you’re probably going to have problems lifting the real Mjolnir. You see, Odin infused it with godly powers, so only Thor and a handful of other random people in the Marvel Universe even have a chance of lifting it. 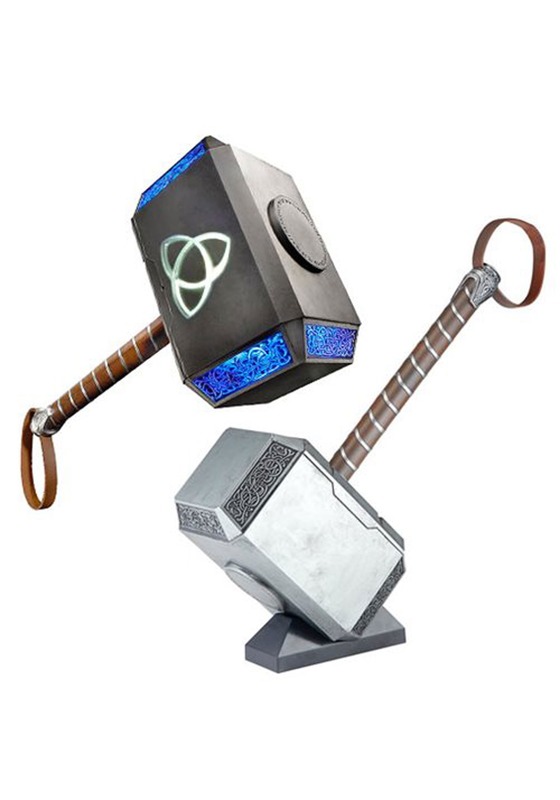 That’s a real bummer if you had planned on becoming a Norse superhero, but the good news is that Marvel Legends has a new version of the hammer that any mortal can wield! This Marvel Legends Thor Hammer brings you a collectible version of the superhero’s primary method of dishing out justice. It comes with light-up actions, stormy sounds and the best part about it is that you can lift it, even if you’re not a superhero, or if you’re not worthy. Pair it up with one of our Thor costumes for the ultimate transformation into the superhero who can shoot lightning bolts from his… well, wherever he wants.